Last month, I held a one day workshop at the beautiful Kirigin Cellars in Gilroy, CA. We spent 3 hours focused on large-scale installations, where attendees were able to create 3 beautiful arches in about 45 minutes each. This shortened timeframe helps to simulate the time crunch of an actual event. We focused on the most efficient methods for installation - from planning, to mechanics, to technique - to ensure a smooth setup. 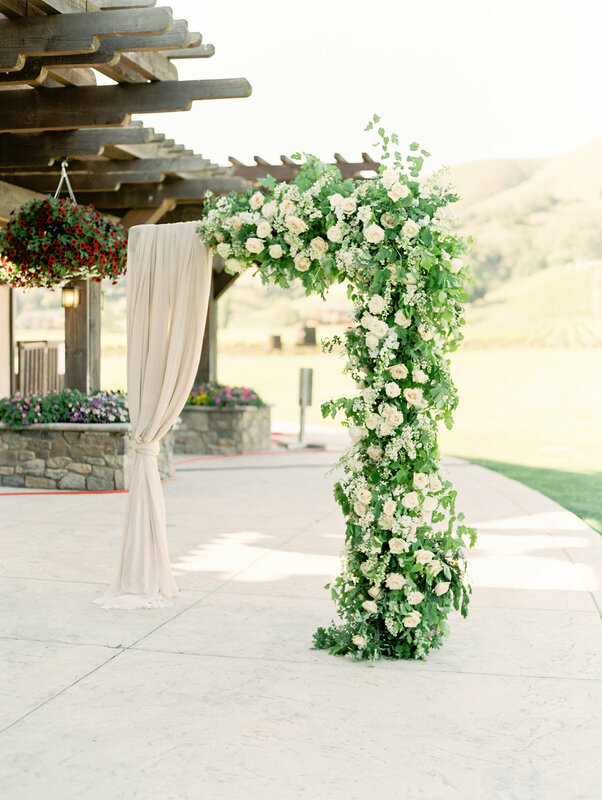 First up, we have a rounded arch, full of greenery and flowers. Thanks to the loose arrangement however, the arch still has a wild and garden feel, with loose stems and free flowing vines. 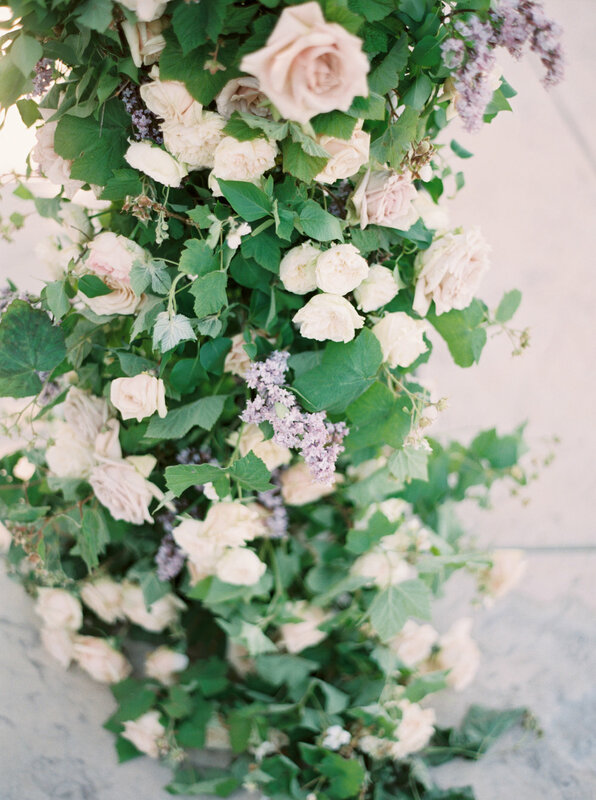 For this first arch, we feature a pale lavender and cream palette, with roses and lilac and plenty of lush greenery. 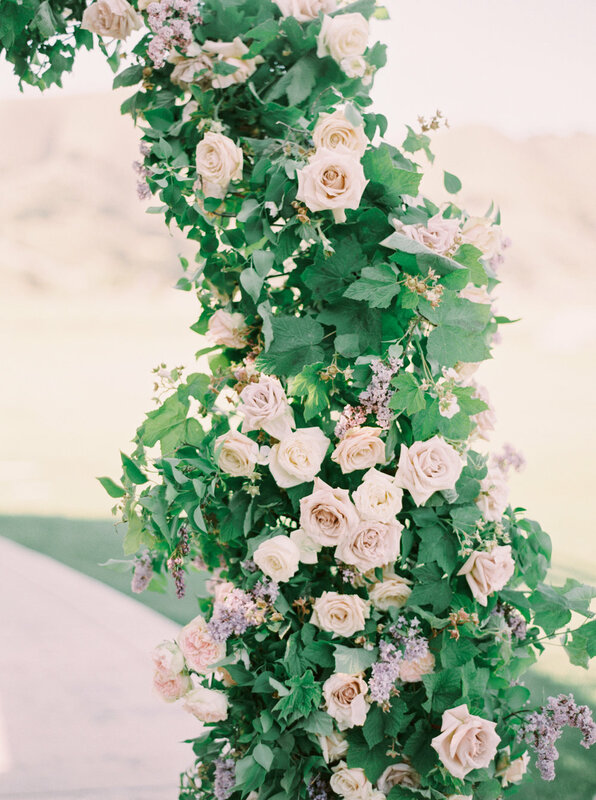 Our second arch was an rectangular/right-angle arch or chuppah, where the left third was draped in a gorgeous taupe voile, and the other two-thirds featured crawling greens and cream colored lilac and roses. Again, we used a loose hand to get that straight-from-the-garden look, with whispy stems spilling off the frame. 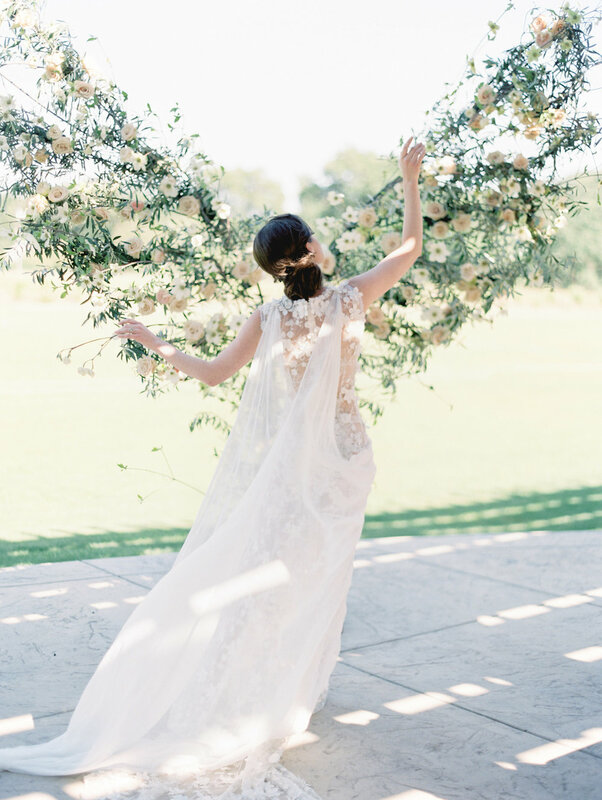 And lastly, we have our stunning and newly designed "Love Beneath My Wings" installation. Feast your eyes on this celestial feature. The first half of our workshop was so much fun and so productive. We crammed 3 large-scale installations in just 3 hours, then broke for a well-deserved lunch. After lunch, we also created centerpieces and bouquets, but those will be featured in a future post, so please stay tuned! Also, many of you have inquired about online classes, but unfortunately I can't accommodate that at this time. Instead, I encourage you to consider a one-on-one session and visit me here in the San Francisco Bay Area! In fact, I'll be hosting another workshop soon, so if you'd like to attend, feel free to send me an email before I make an official announcement. Sneak peak: it will feature hanging floral pieces! So excited! Lastly, I want to make a shoutout to our photographers Audrey Norman and This Love of Yours for these lovely arch photos. Like I said, please stay tuned for the full post and full list of collaborators when we release the rest of the photoshoot from the workshop!